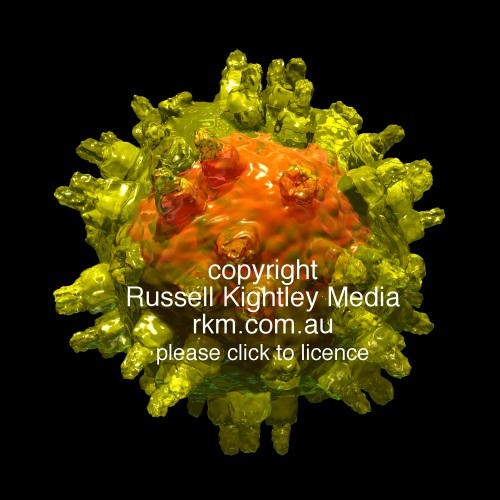 Simplified Adeno-associated virus (AAV) virus particle. Image is 500 pixels across, the original measures 2500 x 2500 pixels. Modelling and rendering done using Martin Wengenmayers CHEETAH 3D software.